Earlier today (25 Nov 1998) Marc Andreesen of Netscape requested from OSI's president, Eric S. Raymond, a perspective on the future of Mozilla in connection with the AOL/Netscape/Sun negotiations. This is our response. We in the Open Source community have followed the smoke signals emanating from the AOL/Sun/Netscape negotiations with great interest. The strategic motivations of the proposed buyout/alliance/stock-swap seem fairly clear to us, as we think they must to most observers. We, too, have recently been forcibly reminded (by the Halloween Documents) that we have been targeted for destruction and dirty tricks by the Microsoft monopoly. We too are aware of the need to forge alliances and work together as never before to avert this threat. We have a common cause with you. In this connection, we urge you at AOL to consider carefully your future relationship with Netscape's Mozilla project and with the open-source community in general. The Mozilla project proceeded from Netscape's understanding that Internet Explorer threatened their server business. If Microsoft were able to establish a monopoly lock on the browser market, they could leverage that into effective control of the HTTP/HTML protocol; from there it would be a short step to effectively crippling any competitor's web servers. The same logic that made IE a threat to Netscape's server business makes it a threat to yours. Netscape responded by launching the Mozilla effort in alliance with the open-source community. Their strategy has proven effective (recent surveys show IE losing business market share relative to Netscape) and we urge you to continue it in cooperation with us. Netscape understood that trying to monopolize or replace the Web itself was not a viable option. Nobody plays that game better than the Borg of Redmond; to try is to play straight into Microsoft's strengths. Recent stories suggesting that AOL plans to move away from proprietary protocols towards HTML suggest that AOL, too, has grasped this truth. Instead, by freeing the source Netscape created an open standard browser that could survive even the worst case, predatory capture of Netscape's own intellectual property. By enlisting the open-source community, Netscape ensured that Mozilla would evolve and improve faster than any proprietary competition. Mozilla's success would deny Microsoft even the possibility of monopoly control over the Web; to use Microsoft's own language in the Halloween Documents, it would "commoditize" the infrastructure. As a company whose core business is content and media, AOL should have an even stronger interest than Netscape in seeing that infrastructure become a commodity, because it moves the competition from places AOL doesn't want to be (technology) to places where it wants to be (content and media). This harmonizes with the open-source community's goals perfectly. We are technology specialists. We know all about building software and communications infrastructures around open standards. We are the Unix and Internet hackers. We are the people who spun the World Wide Web. Our culture (of which the Linux community is just the most recent phase) has been doing this sort of thing for thirty years, and (as Microsoft admitted in the Halloween Documents) we're better at it than anybody. We don't want power and we don't care much about money per se. What makes us run is solving problems and inventing things. All we want is to be able to keep innovating, keep playing our game, without monopoly interference. What's good for AOL and us, in this case, is good for the consumer as well. Open standards increase competition and lower prices, and they create more niches in which new ideas and services can flourish. Accordingly, we urge AOL to continue to support the Mozilla development, and invite AOL to continue Netscape's productive alliance with the open-source community. This will best serve all of AOL's interests, ours, and the consumer's. 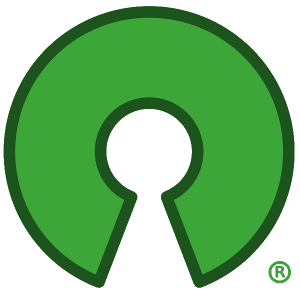 The Open Source Initiative, and its allies, stand ready to help.